The most well known rice produced in California is Calrose Medium Grain Rice. This product is a Japonica rice, which means descendant from Japanese origin varieties. Its key characteristics include: a soft starch, sticky texture with a light taste that pleasantly lingers after chewing. New Variety Medium Grain Rice is a premium product representing a higher tier of quality with respect to taste and texture. Consistent cooking quality showcased by kernels extending in length with a soft starch structure resulting in a superior mouth feel. The taste is sweet with a smooth texture reminiscent of pearls. 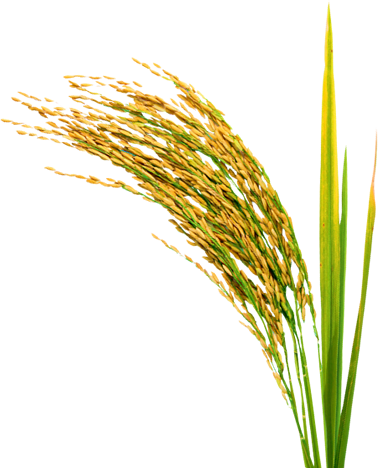 Calhikari is the entry level for the traditional, high quality short grains Japan is noted for. Calhikari represents the best of Japanese and California varieties fused together through selective breeding programs giving Calhikari an amazing taste profile with a starch structure particularly suited for sushi dishes. Koshihikari is the most famous of Japanese traditional varieties and carries the mystique of a truly great heritage always promising an eclectic taste experience. "Koshi" as we affectionately refer to it, shines brightest when served as a fine table rice. "Koshi" is the name of the area "Echigo" where this variety was first grown (Echigo is the modern day Japanese Prefecture Niigata). The term "hikari" means "light" or "luster" in Japanese. "Koshihikari" can be translated to mean: "Light of hope in the Echigo area" (translation courtesy of Mr. Ichiro Tamaki). We believe this refers to Koshi's unique, elegant nature, translucent appearance and proud Japanese history.